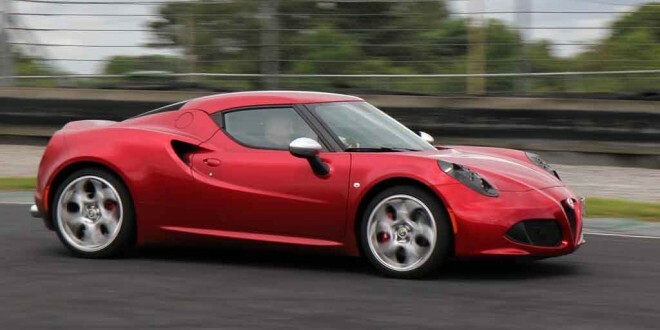 The Alfa Romeo 4C in action at the Irish launch at Mondello Park on Monday. Alfa Romeo chose Mondello Park to launch three new models this week. The reason for the venue chosen is that one of these cars is very, very special. We’ve been waiting a long time for the arrival of the 4C, a car that has tantalised us at various motor shows seemingly for years. With styling robbed from the exotic 8C Competizione, the 4C could be described as the ultimate modern sportscar, with its emphasis on performance through light weight. With a kerb weight of only 895 kg, it’s lighter than most superminis. How did they achieve that? By building it from carbon fibre, the first time this material has been used in a car anywhere near this price point. Some may lament that the 4C isn’t powered by a sonorous V6, but to keep weight down, a 1750cc turbo four cylinder is used instead. Producing 240 bhp, it’s an engine with a very high specific output and it’s mated as standard to a double clutch gearbox. No manual transmission will be offered in a move that will further raise eyebrows. 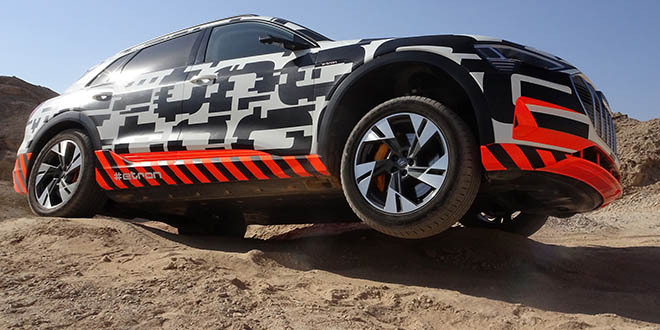 Performance is scintillating though, with a 0 – 100 km/h time of just 4.5 seconds and a top speed of 259 km/h. With its light weight and advanced engine, the 4C also meets Euro 6 emissions regulations and CO2 is just 157 g/km. It’s a proper race car for the road, is the 4C. Built by Maserati, in Modena, it exploits its mid-engine and light weight to ditch the power steering that would otherwise be necessary. Add a race car inspired cabin and I suppose it’s the equivalent of an Italian Lotus. The starting price for the single specification is €69,900 and options include a stiffer racing suspension, larger 18” and 19” wheels with Pirelli racing tyres and a sports exhaust system. It seems slightly unfair to dismiss the other two models launched this week as it’s great to see new product coming from Alfa Romeo. New versions of the MiTo and Giulietta have been refreshed inside and out and a 105 bhp TwinAir joins the MiTo range. A five inch colour touch screen infotainment system becomes standard, along with Bluetooth and DAB radio. The new MiTo comes in at prices starting at €20,900, while the new Giulietta will start from €22,500, which buys a 1.4 TB 120 bhp Progression.